AUSTIN, Texas — The Texas Senate has passed a bill allowing faith-based foster care and adoption agencies to operate in accordance with their religion without punishment. The measure now moves to the desk of Gov. Greg Abbott for signing. As previously reported, House Bill 3859, also known as the “Freedom to Serve Children Act,” prohibits the government from punishing any private child welfare organization that makes placement decisions in alignment with its faith-based operating values. 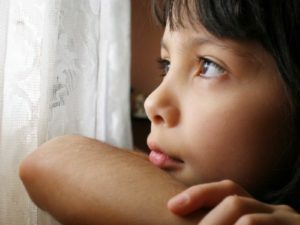 “A governmental entity or any person that contracts with this state or operates under governmental authority to refer or place children for child welfare services may not discriminate or take any adverse action against a child welfare services provider on the basis, wholly or partly, that the provider has declined or will decline to provide, facilitate, or refer a person for child welfare services that conflict with, or under circumstances that conflict with, the provider ’s sincerely held religious beliefs,” the bill reads in part. It also provides protections for agencies who intend to enroll children in religious educational institutions, as well as those who decline to provide referrals for abortion or contraceptives. While the bill doesn’t mention specifics, some have decried the measure after construing it to mean that Christian adoption agencies may choose married couples over unmarried, Christian couples over non-Christian and heterosexuals over homosexuals. The Human Rights Campaign issued a statement on Sunday blasting the bill as being bigoted and not considering the best interest of children. “HB 3859 is a dangerous, discriminatory bill that shows the type of overarching anti-LGBTQ animus that is coloring so much of the Texas legislature this session,” said National Field Director Marty Rouse. “This ‘Slate of Hate’ that the Texas legislature has made a priority harms LGBTQ Texans. It is unconscionable that a bill would prioritize discrimination over the best interest of kids in the child welfare system, but Texas lawmakers have done just that,” he remarked. However, others state that the bill does not prevent children from being adopted, but simply allows any private organization to have free exercise of religion without fear of punishment. The measure passed the House earlier this month. Faith-based adoption agencies in the state include Christian Homes & Family Services, Generations Adoptions, Buckner International, ChristianWorks for Children, and Arrow Child & Family Ministries.